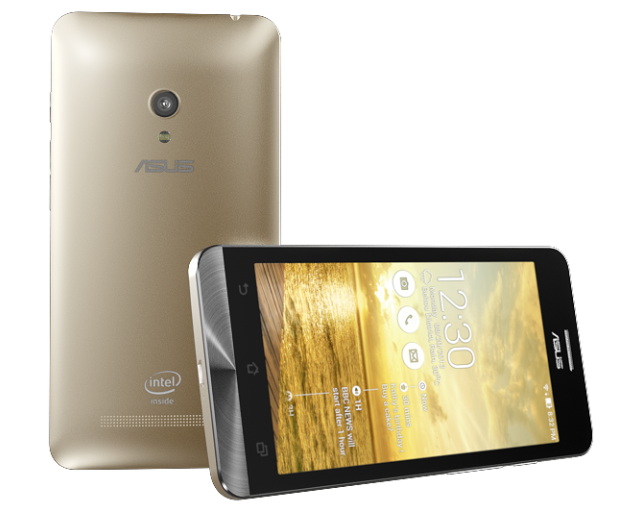 Asus isn’t well known in Canada for its smartphone line-up, as the company has kept that part of its business to the Asian markets, but its excellent Android tablets are well embedded. The company has arguably some of the best design standards in the Android market, releasing gems like the Transformer Pad back when few companies knew what to do with Honeycomb. 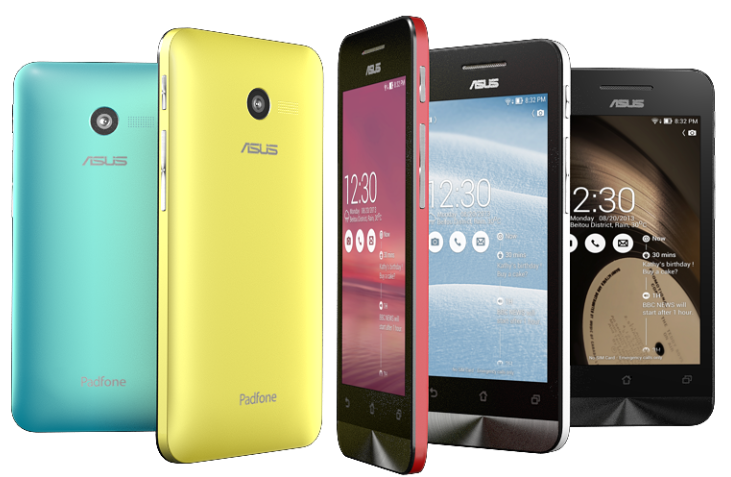 At CES this week, Asus extended its foray into new domains by announcing a trio of ZenFones, ultra l0w-cost devices aimed at increasingly-commodified Android market. Available in 4-, 5- and 6-inch models, the devices are gifted with Intel Clover Trail+ chips, variants of the Atom architecture familiar to netbook users, shrunk down to mobile proportions. As Android apps increasingly become compatible with x86 architecture — the last year has seen most of them updated with support — manufacturers like Samsung and Asus are outfitting their phones and tablets with Intel’s hardware. On the small side, ZenPhone 4 has a 4-inch 840×400 pixel display with a dual-core 1.2Ghz Atom Z2520 processor, 1GB of RAM and a 5MP rear camera. 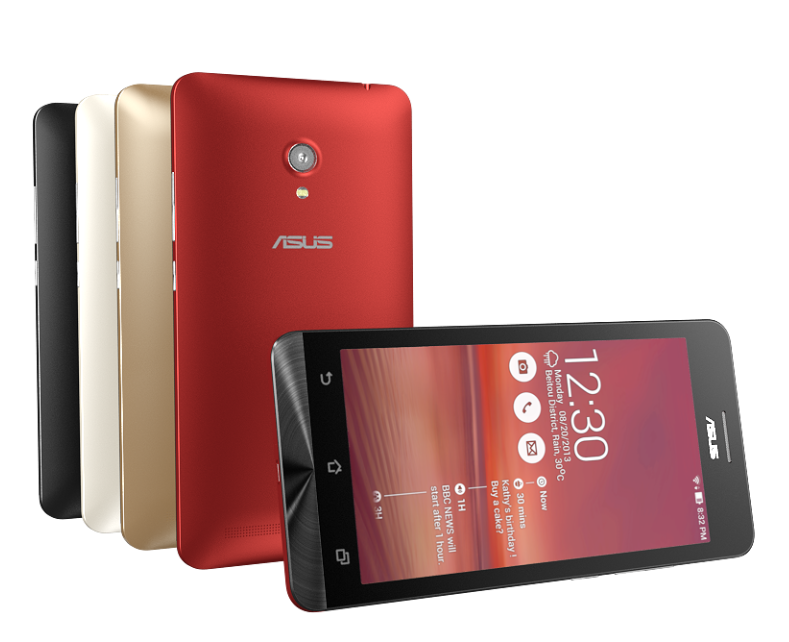 It also sports a 1170mAh battery and microSD slot. Obviously, this is a device that would have been comfortable partying in 2010, but considering Asus is asking only $99 for it, there isn’t much to complain about. Edging higher, both in price and performance, are the 5- and 6-inch models. Both sport 720p IPS displays and up the CPU speed to 2Ghz per core on a faster Z2580 chip. The ZenFone 5 has an 8MP camera and a 2050mAh battery, while the ZenFone 6 bumps the numbers to 13MP and 3230mAh, respectively. The largest device also sports 2GB of RAM and both will be offered in 8 or 16GB versions. All three variants come in a number of colours, and run a minimal, unadulterated version of Android 4.3 called ZenUI that, without changing things too much, stays true to Asus’s fairly light touch when it comes to Android modifications. It’s almost certain that the ZenFones will not go on sale in Canada, now or ever — they lack LTE bands, for one thing, and Asus very cautiously dipping its toes into the U.S. smartphone market — but they are very interesting for a number of reasons. Like the Moto G, these are low-margin devices that appear to be capable of running most apps and games without compromise; they have bright IPS displays and capable SoCs. Lower-cost Android phones have always, until recently, necessitated many sacrifices in performance, battery life or storage. We’re finally getting to a place that users can expect a robust user experience for under $200, which is a good thing for all users. Next year, we’ll see these types of devices outfitted with LTE support, and then North Americans will really benefit. The ZenFone 4 will cost $99, the ZenFone 5 will cost $149, and the ZenFone 6 will cost $199 when they go on sale early this year.